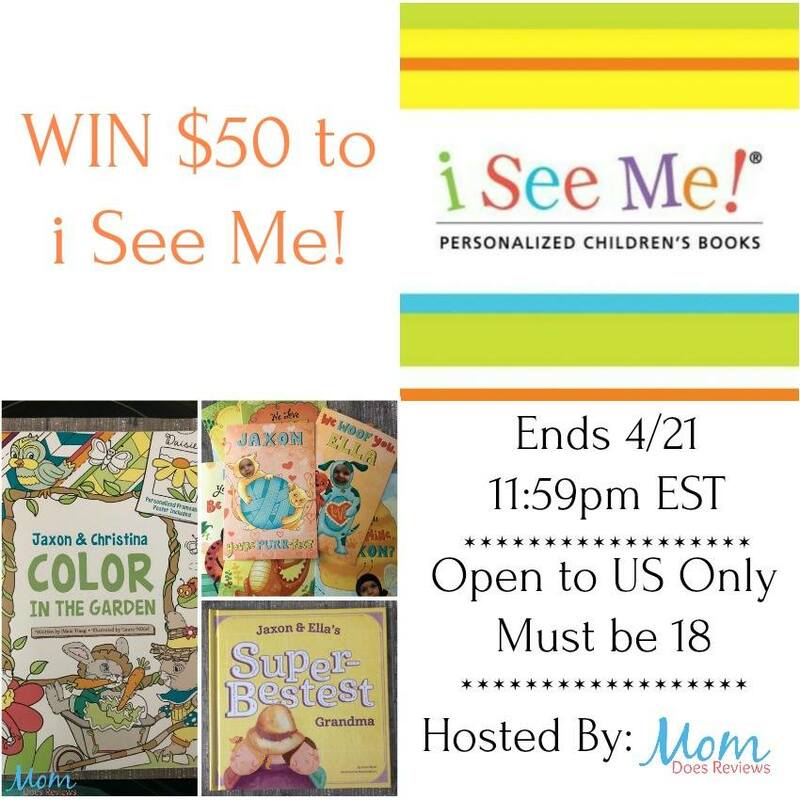 This giveaway is sponsored by i See Me! and hosted by Mom Does Reviews. Children love to see themselves in books--and it turns out it is actually good for them as well. It helps give them self confidence as well as helping them to learn valuable lessons-besides the obvious! Every child is unique and deserves at least one of these books! 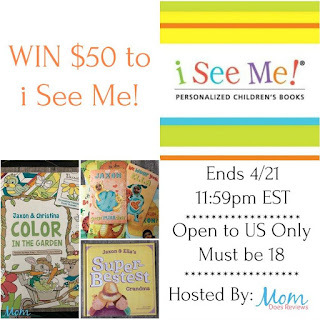 One lucky reader will win $50 to i See Me! 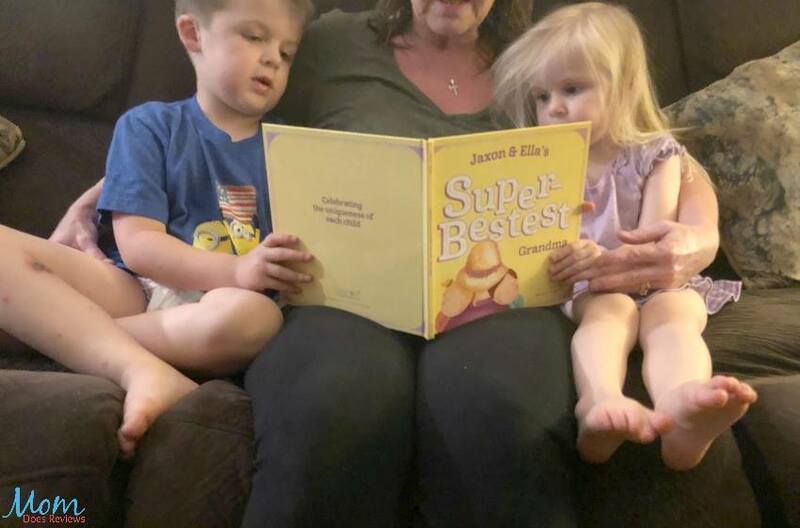 I would give this personalized book to my niece. Thanks so much. My son would love a book. Oh YES!! A few of my grandkids. There would be no mistaking whose book it is!